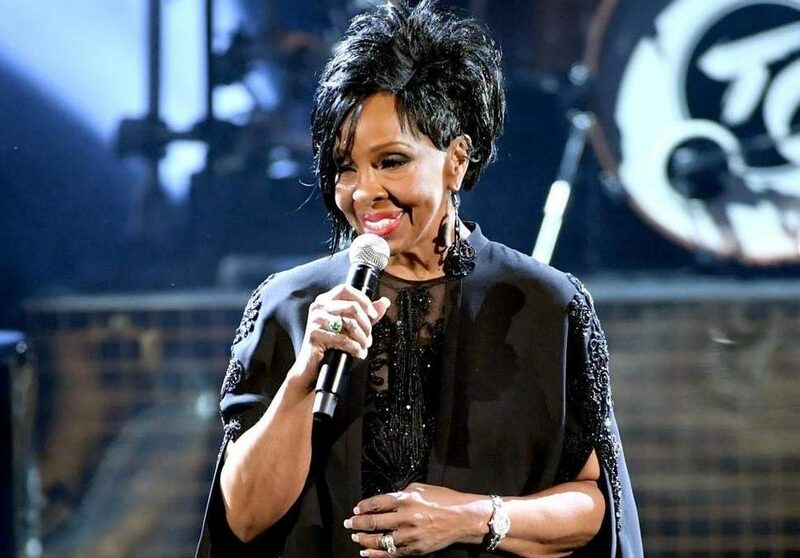 She may not be leaving on a “Midnight Train to Georgia,” but the legendary “Empress of Soul,” Gladys Knight-McDowell is headed back to her hometown of Atlanta, Georgia. On 3 February 2019, Gladys will be singing the national anthem at Super Bowl LIII at Atlanta’s Mercedes-Benz Stadium. As she prepares for her performance, she has taken the time to issue a statement in response to Variety’s question about her stance on the NFL’s treatment of Colin Kaepernick. Some may recall that the former San Francisco 49ers quarterback was essentially banished from professional football for “taking a knee” as a sign of protest during the performance of the national anthem and has not played professionally since 2016. Gladys also addressed the criticism that she has received for agreeing to sing the national anthem at Super Bowl LIII. I understand that Mr. Kaepernick is protesting two things, and they are police violence and injustice,” she wrote. “It is unfortunate that our National Anthem has been dragged into this debate when the distinctive senses of the National Anthem and fighting for justice should each stand alone. I am here today and on Sunday, Feb. 3 to give the Anthem back its voice, to stand for that historic choice of words, the way it unites us when we hear it and to free it from the same prejudices and struggles I have fought long and hard for all my life, from walking back hallways, from marching with our social leaders, from using my voice for good — I have been in the forefront of this battle longer than most of those voicing their opinions to win the right to sing our country’s Anthem on a stage as large as the Super Bowl LIII. No matter who chooses to deflect with this narrative and continue to mix these two in the same message, it is not so and cannot be made so by anyone speaking it. I pray that this National Anthem will bring us all together in a way never witnessed and we can move forward and untangle these truths which mean so much to all of us. 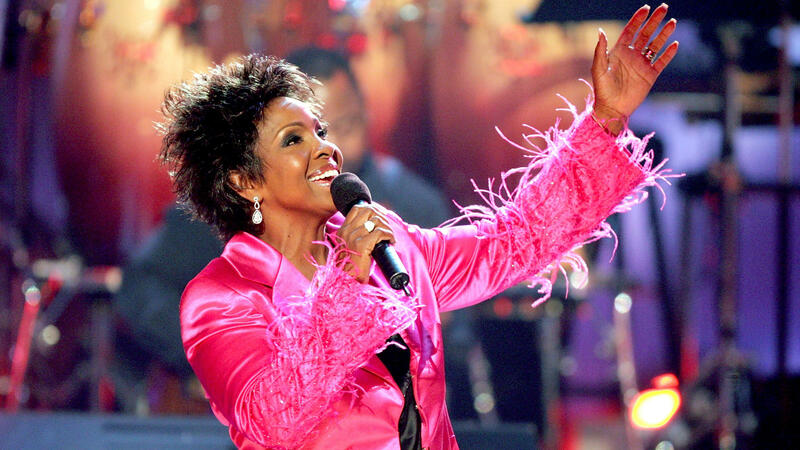 Gladys Maria Knight was born in Atlanta, Georgia, on 28 May 1944. She began her extraordinary music career at the age of four when she began singing in a Baptist Church choir. Not only is she known for her many accolades received because of her great music as the lead singer of Gladys Knight & the Pips and later as a solo artist, but she is also a humanitarian and longtime Civil Rights advocate, having lived through the civil rights movement. 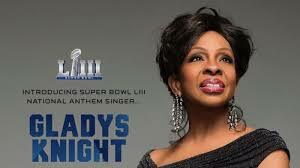 Deseret News reports that Gladys “joins an impressive roster of performers who have performed the national anthem at Super Bowls over the years,” including Pink (2018), Beyoncé, Aretha Franklin, Christina Aguilera, Garth Brooks, Mariah Carey, Cher, and Neil Diamond. It is her deep desire that her performance of the national anthem at Super Bowl LIII will help to unite Americans of all color and help lift others to a higher place.